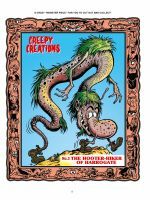 The 10th March 1973 saw the first issue of Shiver and Shake released on the newsstands in Great Britain. 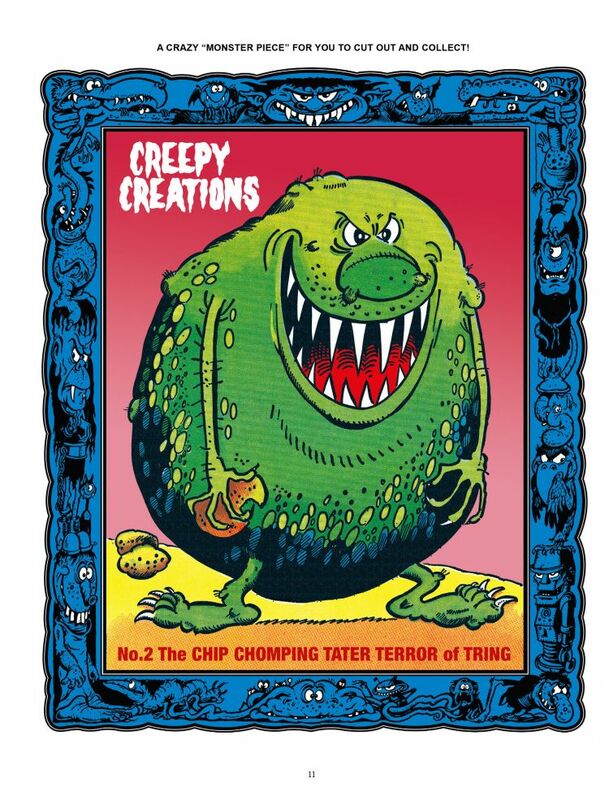 Like its stablemate Whizzer and Chips, it was two comics in one, with Shiver mainly consisting of horror-themed comedy strips. 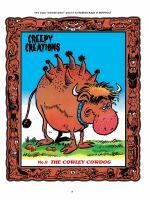 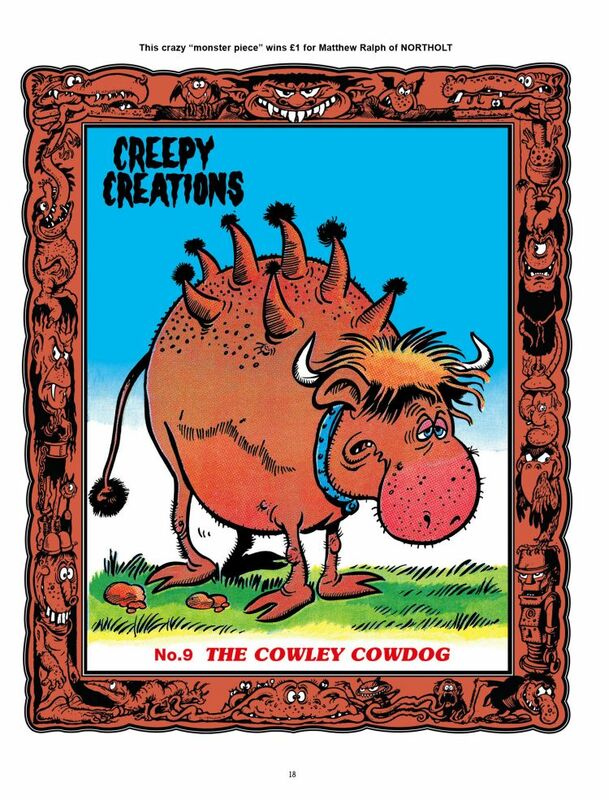 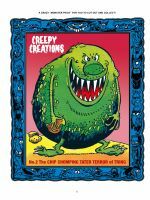 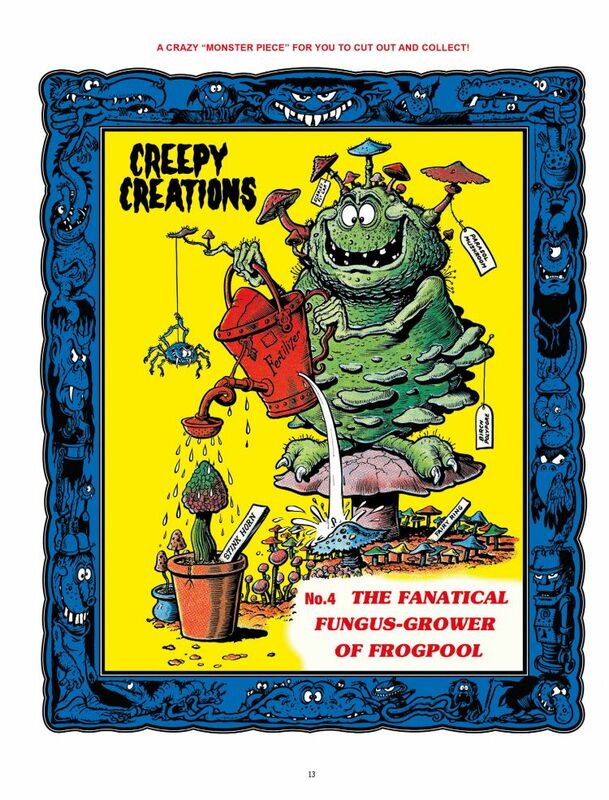 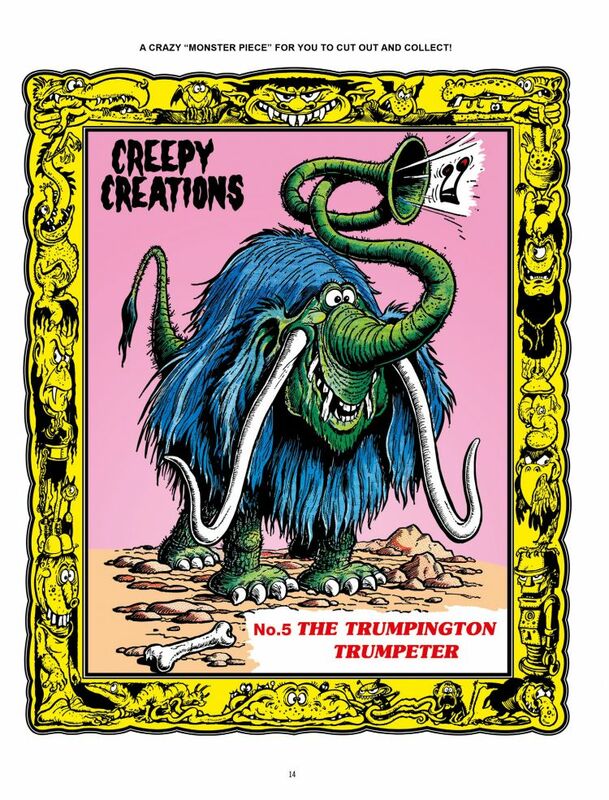 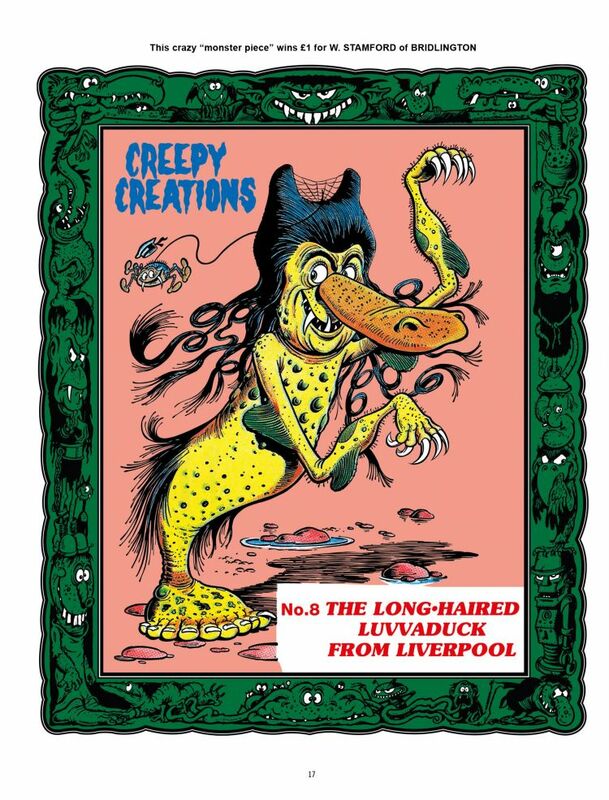 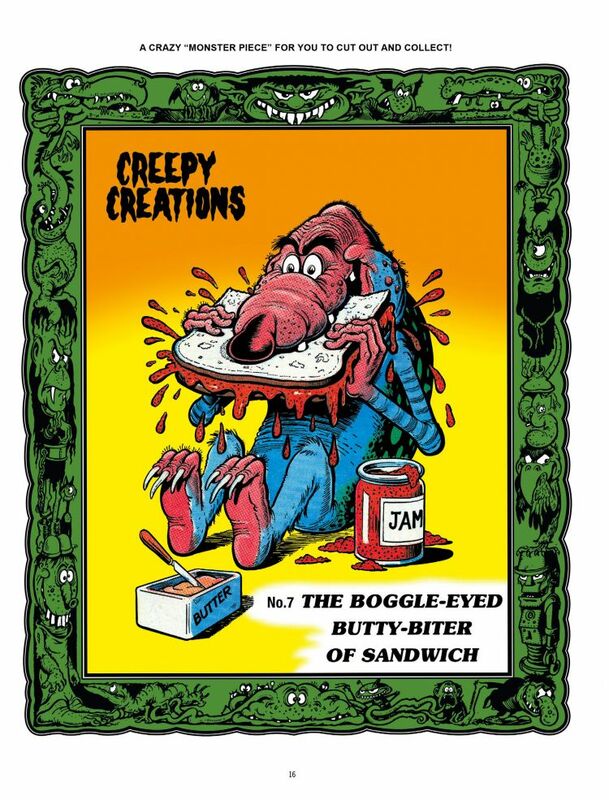 On the back page of the comic, readers were treated to ‘A crazy “Monster Piece” for you to cut out and collect!’, and thus the Creepy Creations were born! 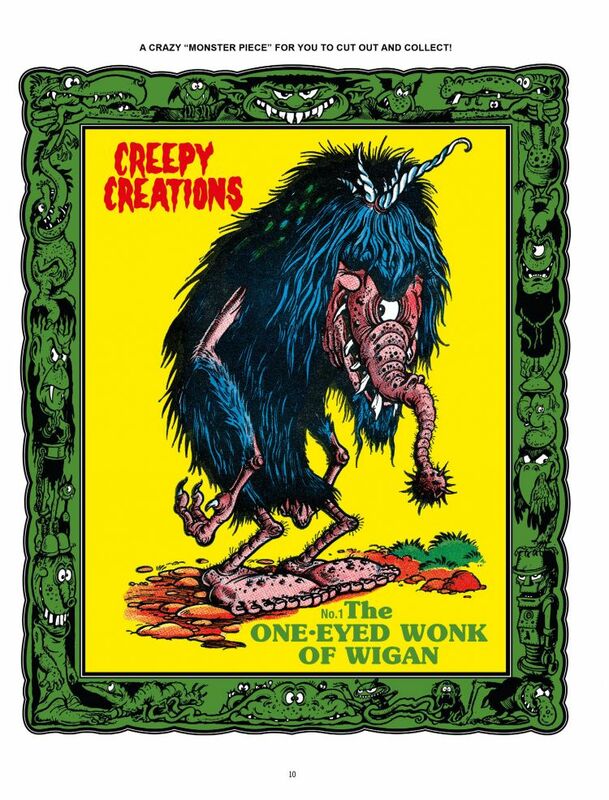 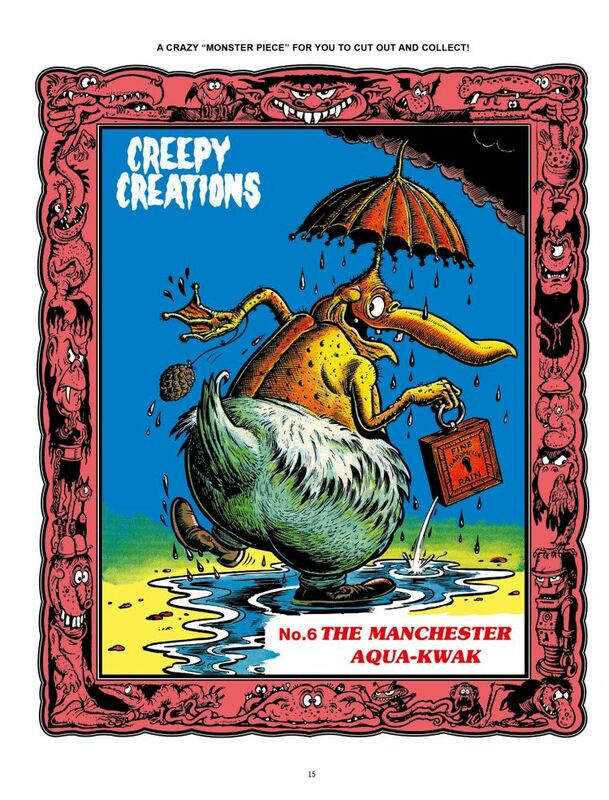 That first gloriously gruesome entry from Ken Reid was titled ‘The One-Eyed Wonk of Wigan’. 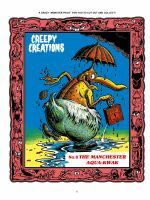 Readers were invited to send in their sketches for further instalments. 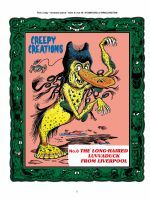 Winners would receive a pound note for their work and see their creation brought to full-colour life by various Shiver and Shake artists (mainly by Reid). 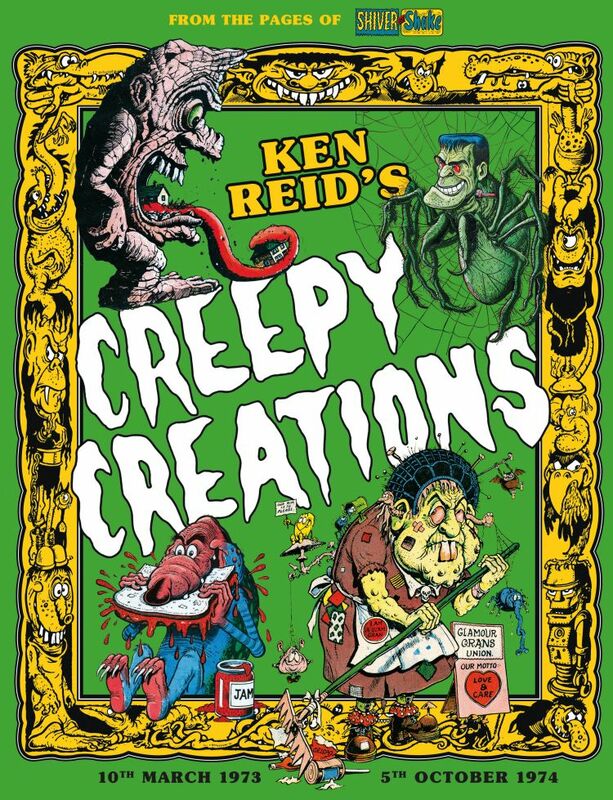 The Creepy Creations were a grand triumph. 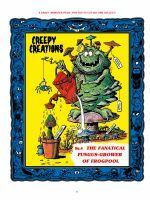 Seventy-nine appeared in total, with further entries appearing in annuals and specials. 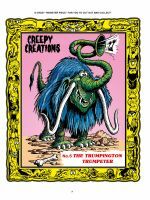 The success of this feature led to both the Wanted posters and WorldWide Weirdies being created for Whoopee!.